An interdisciplinary, student-driven approach to community engagement programming in schools supports the development of key competencies needed to move from big ideas to concrete action. As we prepare students to be civically and socially engaged on a daily basis, we need to think about the mindsets and behaviors we are cultivating and the context within which we are developing their competencies. Microcivics, a framework for transforming personal values into habits for long-term impact, creates opportunities for lifelong reflection and action. In this session, we offer our perspective on how curriculum, project-based learning, and age-appropriate framework can create a pathway for short and long term impact in both local and global communities. The learning portion of our workshop will run from 1:00-5:00pm, with an optional happy hour from 5:00-6:00pm. Stacey Kertsman is Dean of Equity Education and Social Impact and Director of the Center for Awareness, Compassion, and Engagement (ACE) at Castilleja School. Stacey’s years as a classroom teacher, school administrator, non-profit founder/leader, and mother inform her belief that experiential learning optimizes the development of social and emotional skills in students and supports their development in becoming social change agents. 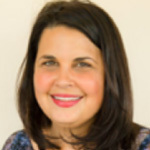 In 2008, Stacey co-founded eduWeavers, a non-profit dedicated to partnering schools in the United States and South Africa around the concept of reciprocal learning. 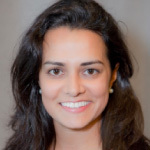 Anjelika Deogirikar Grossman is Assistant Director of the Center for Awareness, Compassion, and Engagement (ACE) at Castilleja School. Her own journey as a ‘third-culture kid’ informs her belief in the value of experiential learning in students’ development. In her role at Castilleja School, Anjelika is responsible for global programming and the internship program. Anjelika also co-created and taught a seminar at Castilleja School on civic engagement and Microcivics. Anjelika draws upon her previous experience in the private sector, where she worked in the pharmaceutical and biotech industries. More recently, she served as the ORGANIZE Innovator in Residence at the U.S. Department of Health. Prior experiences include Genentech, Twitter and the White House Office of Science and Technology Policy. 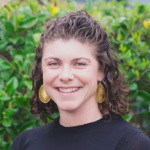 Emily Entress Clark is the Leadership and Community Partnership Program Manager for the ACE Center and an Instructor for the Bourn Lab at Castilleja School. In her roles, she leads interdisciplinary student-directed learning for the High School and designs the experiential learning programming for the Middle School. She is motivated to help students take ownership of their decisions inside and outside of the classroom so as to develop healthy habits and lead purpose-driven lives in school and beyond. She has led multiple global education programs to Kenya, China, and India, yet values the importance of being engaged as an active member of one’s local community.